Although there is no single way that all abusers behave, certain signs may indicate a stronger tendency toward violence, explains the National Domestic Violence Hotline in the article "Know the Red Flags of Abuse." However, even if you do not see the common precursors to violent behavior, if your partner makes you feel uncomfortable or unsafe is any way, do not second guess yourself. Instead, seek out help from friends, family or a domestic violence hotline. If you see potential red flags in your relationship, ignoring them could be a safety risk. 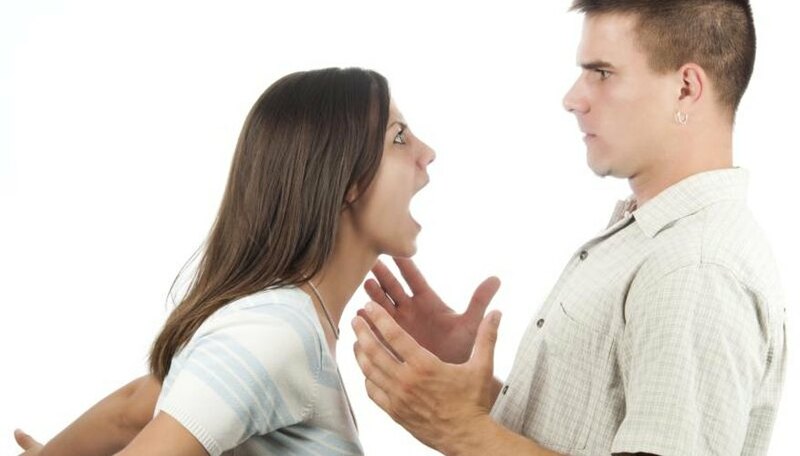 Partners prone to violence may show signs that they are not in control of their anger. Throwing or breaking things, punching walls or yelling at you can signal that a partner has violent tendencies. Even if the anger is not directed at you, anger management issues can still lead to abuse. For example, a partner who kicks in a door because he is angry at a co-worker may eventually become violent toward you. The cycle of violence often begins with efforts to control one's partner. For example, a potentially violent partner may try to limit his girlfriend's contact with her family or friends. Likewise, he may try to limit her ability to work, maintain financial independence or make decisions without consulting him. In some cases, potentially violent individuals threaten self-harm if their partner speaks up or tries to leave the relationship. Alcohol or drug abuse is often a contributing factor in violent relationships. Although substance abuse is rarely the underlying cause of abuse, it is one of the most common precursors to violence, explains the National Coalition Against Domestic Violence in the publication "Domestic Violence and Substance Abuse." Intoxication or withdrawal might exacerbate anger or cause an individual with abusive tendencies to lose control. Additionally, abusers or those prone to violence may blame their behavior on intoxication rather than the real, underlying issues. This can make it difficult for their partners to identify potentially dangerous behavioral patterns. Potential abusers are often reluctant to take responsibility for their behavior, particularly within the relationship. A potentially abusive partner may tell you that you are the cause of all the relationship problems. He may also blame you for angry outbursts because you "made him angry" with your behavior. In short, persons with abusive personalities do not understand or acknowledge their role in conflicts or their own emotional states. Green, Anna. "How to Spot a Potentially Violent Partner." Dating Tips - Match.com, https://datingtips.match.com/spot-potentially-violent-partner-2047433.html. Accessed 23 April 2019.